Photo industry has changed profoundly within the last two decades. Today, we have a camera at our fingerprints wherever we go and Smartphone manufacturers assure there are enough and to spare pixels in it to capture the perfect image. Even then, attaining perfection is still not easy, as every new perk we get makes our demands grow exponentially. And since now we can take zillions of pictures, we want them to look zillions times better than hitherto. 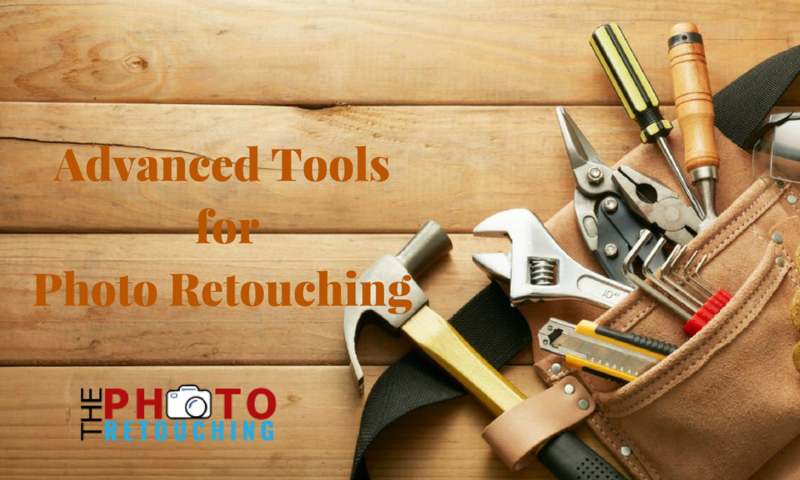 Here’s the list of Advanced photo retouching techniques that enabling contemporary photographers to upgrade their pics. 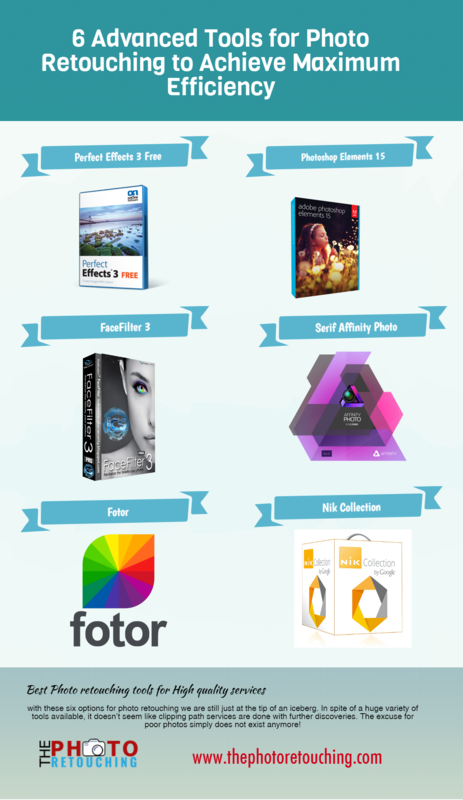 Right off the bat: Adobe Photoshop remains number one for those who are big on raster graphics editing. Facts speak for themselves: Photoshop has spiraled into an actual industry standard with the word “to Photoshop” becoming a self-standing verb (even though Adobe is not exactly happy about it), and Perfect Effects 3 Free is a classy time-saving plugin for it. “Classy” it is, not just because it’s free (though it’s quite amazing for such a handy filter package), but also due to a proven talent of bringing elegance and drive to pictures. It features 25 amazing filters (e.g., retro and HDR), which can be combined and played with for a unique effect. Photographers can work with multi-layered files here as well. However, manual tuning isn’t included into a free version. In addition to Photoshop, this plugin is compatible with Lightroom, Photoshop Elements and Aperture. Speaking of Photoshop, the only real shortcoming one can possibly think of is indeed a time consuming factor. Unless ready to undergo a training and master the skills, a photographer will most definitely get stuck in a couple of basic tools. Luckily, today there are plenty of tricks to speed up and facilitate photo editing. It’s already the 15th edition of a popular image-editing tool, also known as the “amateur” Photoshop for those who go for fast solutions. It is user-friendly and powerful, available for Mac and PC. Although some of the big brother’s sophisticated features are missing, the number of advanced quick fixes, artistic effects and transformations are immense. Latest updates of Elements 15 include improved tagging system and facial features adjustments, some helpful guided edits, etc. One of the major Elements’ fortes is a well-designed ability to serve users with different needs. Too bad we don’t always look like movie stars, dressed to the nines and posing on the red carpet… Well, the truth is – neither do they. Those healthy looks and smooth skin are often a subject to scrutinous retouch. Beautifying toolkits have already taken portraits to a new level, amalgamating selfies with art. FaceFilter3 is relatively easy to use, and it features a whole range of advanced makeover options along with basic settings. This software considers the facial shape and contours, expertly applying natural highlights and shadows. That is to say, you won’t look like your make-up artist is a 5-year-old. Even if you go for one-click applications to save time, the result will still be stunning. For those who want to take a closer look at Photoshop alternatives, Serif Affinity Photo is a must-see. This graphic editor is surprisingly powerful for a relatively low price tag (Serif has always been associated with a budget range, afterward). Whilst the newest edition of photo-editing toolkit by Sherif, PhotoPlus X8, features essential learning guides for newbies along with a variety of advanced options (e.g., layer-based editing), it’s only Windows PC compatible and still not that much of a “pro”. However, Affinity Photo, designed purely for Macs, can be labeled as a way more professional product, going neck and neck with legendary Adobe Photoshop. A good idea for those going online and editing right on the browser. There are lots of opportunities to explore, but High Dynamic Range feature is probably one of the best here. It allows users to combine a number of images with different exposures into one photograph, which is bearing the best qualities of its integral parts. The Google Nik Collection is a powerful image-editing toolkit, abundant in resources. The Collection goes with 7 different plugins, tailored for specific needs: Analog Efex Pro (vintage/natural looks), Silver Efex Pro (black-and-white-specific), Color Efex Pro (features a myriad of filters), Viveza(altering chosen colors), Dfine (noise reduction pro), Sharpener Pro (enhances clarity), etc. It’s relatively easy to get familiar with, and it has become free already, which is a great perk. All the tools can be downloaded at once, or in accordance with users’ preference. you can take help from the Professional photo retouching service provider company. I just loving it, being a graphics designer the post is most desirable to me. Thanks.